”Leslie” Làszlò Egerer started playing the violin when he was six years old. He studied music at the Zoltan Kodaly Institute of Music, and was thereafter the first violinist in several Symphony Orchestras from 1972-1982. In 1982 he became freelancer and went to Germany with Imre Perènyi´s salon orchestra. But after 3 years in Germany he moved back to Hungary and established the Roller Group. They became a big hit in Hungary and sold over 96.000 Lp´s in five years, and was sponsored by the biggest Hungarian LP publisher, Hungaroton. They also became a permanent part of the annual Christmas celebration in the Hungarian Parliament in Budapest. ”Leslie” Làszlò Egerer has also played with many famous Hungarian artists, like: Zoran Sztevanovity, Robert Szikora, Marta Fonay, Rezso Soltesz, Rozsi Demjen, Lajos Illes, Katalin Kovacs, Andras Kern, Bela Ernyey. 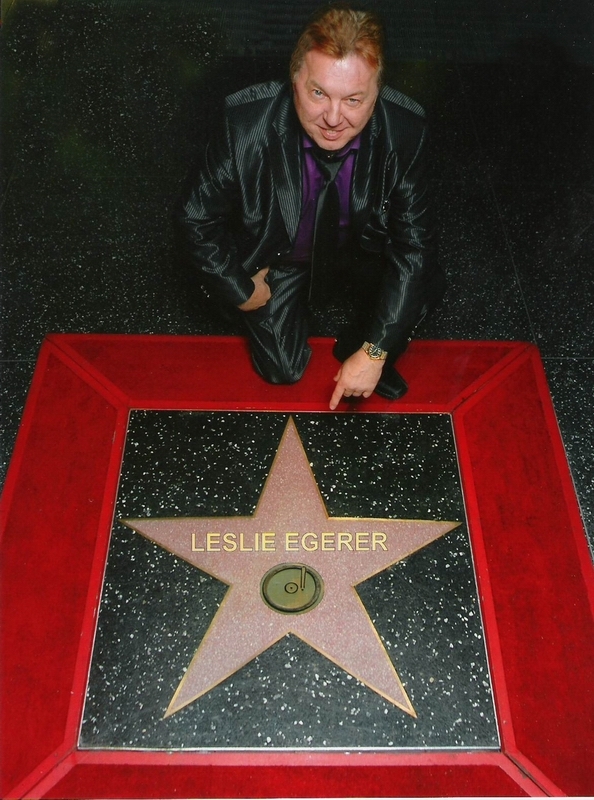 In 1989, ”Leslie” Làszlò Egerer went on tour to Norway for some years with his bands “Cosmos Factory” and “Oxygen”. He later settled in Bergen and started building up a new musical life here. He has played on NatJazz 2000 with the Canadian Diana Krall, and Norwegian Sissel Kyrkjebø. The same year he played for the leaders of NATO. Leslie also played for Tor Endresen when Tor turned 40 years old. He has played with Claudia Scott, Rune Larsen, Bjorn Afzelius, Mostly Robinson, Clive Scott, Johannes Kleppevik, Arne Hjeltnes, Erik Stephansen, Anders Martinius Tangen, Helge Jordal, Kari Jaquesson and Rune Rudberg. Leslie has later started his own home studio where he has made music ever since. He has also a very interesting and unique performance. He plays the guitar, the piano, the singing saw and of course the violin. In 2009 Leslie became a member of The Composer Collective, Hollywood. His music was uploaded into the Music supervisor’s data base for future reference. Some of the companies that pick out their music from this data base are Disney, Warner Brothers, HBO, Columbia Pictures, Paramont Pictures, Universal Pictures and Sony Pictures.